In 2008, Paizo launched an unprecedented public playtest aimed at updating the third edition rules to make them more fun, easier to learn, and better able to support thrilling fantasy adventures. More than 40,000 gamers joined in the fun by playtesting the new Pathfinder RPG rules and providing feedback. 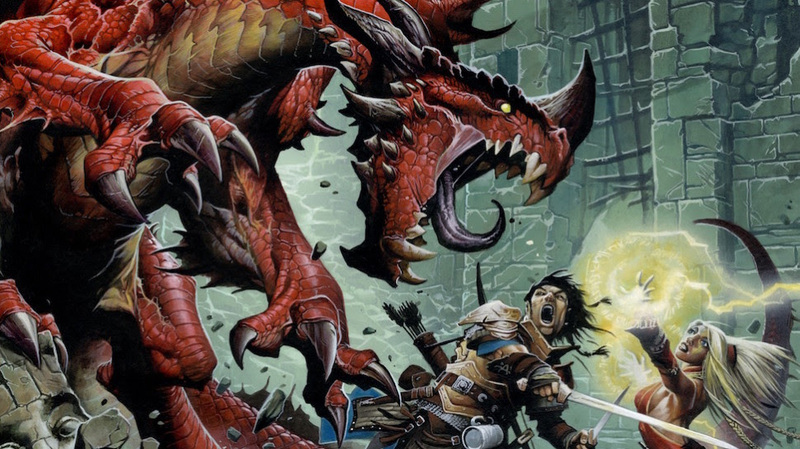 Now, ten years later, Paizo has put the lessons of the last decade to use and evolved the game once again with Pathfinder Second Edition! The Second Edition Pathfinder Playtest will feature 416-pages of everything you need to create and advance your Pathfinder Playtest character from level 1 to 20, as well as hundreds of new and updated spells, magic items, feats, and Game Master rules necessary to run a complete Pathfinder Playtest campaign! The public playtest begins August 2 and runs through the end of 2018. Due to this limited time window, this book will NEVER be reprinted! All Pathfinder Playtest products will be available as limited-edition print versions as well as be released as FREE downloads exclusively at paizo.com. With gorgeous interior art from Pathfinder cover artist Wayne Reynolds and new rules concepts on nearly every page, the Pathfinder Playtest Rulebook is the gateway to the future of Pathfinder. If your store or library would like to participate in an organized game play event, please visit http://paizo.com/organizedplay.